The Flying Squad is celebrating its 100th anniversary. Detectives may need to fall back on "older ways" of catching criminals as encryption of technology becomes more of a problem, the head of Scotland Yard's Flying Squad has said. Organised crime gangs are increasingly sitting behind computer screens to steal from victims rather than risking arrest by staging armed robberies. But the inability to crack encrypted devices and messages means investigators need to keep using tactics like going undercover and using informants to catch crooks, Detective Chief Superintendent Mick Gallagher explained. "It might be that going forward we have to start re-establishing some of the older ways that we used to work and not be so heavily reliant on technology. If encryption for example is going to start causing a problem," he said. "We have to remain open so that we don't resign past tactics and methods to the past. Sometimes it's often worth revisiting something that worked very successfully. "In the fast changing technological age that we've got at the moment it's a challenge to keep up to speed with how things are developing. "Part of our role is to make sure that we don't throw the baby out with the bathwater when we're moving forward organisationally with our tactics." Mr Gallagher spoke as the Flying Squad celebrates its 100th anniversary having been founded in 1918. At the time the unit consisted of 12 specially selected officers and was led by Detective Chief Inspector Frederick Wensley, who had previously rescued a colleague from a shoot-out in the Siege of Sidney Street. Known as the Experimental Mobile Patrol, the team had two horse-drawn covered wagons rented from the Great Western Railway, and patrolled the streets with detectives hiding inside, ready to pounce if they spotted a criminal. Now the Flying Squad has 120 officers - soon to be 141 as its remit expands to deal with kidnap - and is best known for action-packed takedowns of armed robbers known by officers as a "pavement ambush". Key jobs in its history include the 1963 Great Train Robbery, when the squad arrested 17 of the 19 thieves responsible for the heist. There was also the infamous 1983 Brinks-Mat security depot robbery; the 1987 safe deposit raid in Knightsbridge; and more recently foiling a plot to steal jewels from a diamond exhibition at the Millennium Dome in 2000. This was the biggest operation in Flying Squad history and stopped the robbery of the massive Millennium Star diamond, worth around £200 million, as well as a collection of blue diamonds. The squad, sometimes known as The Sweeney, also investigated the £14 million 2015 Hatton Garden safety deposit burglary. Armed robberies remain the key focus for the unit, with moped smash-and-grab raids and deliberate gas explosions of cash machines both recent trends. But Mr Gallagher explained that a number of crime gangs have moved away from armed robbery to other forms of crime. "We're seeing in London serious and organised criminal groups tend to graduate away from armed robbery which is a high risk and relatively low-yield, you will see them diversify into drug trafficking which is a slightly lower risk and a slightly higher yield. We've also over the last few years seen a further diversification into serious or complex fraud. "The challenge is never-ending, they shape shift and we have to in order to meet that." More recently the unit is well-known for foiling a plot to rob the Millennium Dome's Diamond Exhibition in 2000. The operation is the biggest in the squad's history and prevented the robbery of the Millennium Star worth approximately £200 million as well as a collection of blue diamonds. The first incarnation of the Flying Squad, known as the 'Experimental Mobile Patrol', was made up of detectives selected for their proven abilities to identify and apprehend the most audacious of thieves. 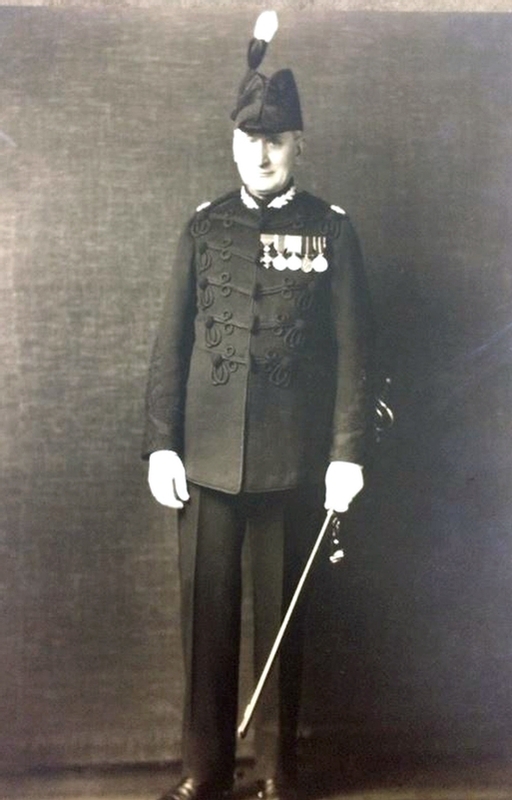 The squad's first Detective Chief Inspector was Frederick Wensley, a highly distinguished police officer who had shown exceptional bravery during the 'Siege of Sidney Street', in which he rescued a colleague from a rooftop under a hail of bullets. Wensley had orders from the Commissioner to use the squad to combat the serious increase in robberies, smash-and-grabs, burglaries, and racketeering across London. The Experimental Mobile Patrol was issued with two horse-drawn covered wagons rented from the Great Western Railway. They patrolled the streets of London with detectives hidden inside the wagons, ready to jump out if they spotted a suspected offender. The unit was so successful that a year later it was made permanent. In July 1920, the squad became the first to be provided with motor vehicles after two war surplus Crossley tenders, formerly used by the Royal Flying Corps during the First World War, were purchased by the Met. The vehicles had a top speed of 40mph. Then in 1927 the Flying Squad was given its first high powered cars: six Lea Francis saloon convertibles, each with a maximum speed of 75mph. The first known reference to the Flying Squad is believed to have come from a Daily Mail article in September 1920 which referred to "a flying squad of picked detectives." As soon as the name was adopted into public use, it soon evolved as a result of Cockney rhyming slang. This rhymed Flying Squad with "Sweeney Todd" and was further abbreviated to become The Sweeney - the title of the famous 1970s TV show. In the 1960s the unit began to focus on the increasing number of armed robberies in London and the Home Counties. To this day, the Flying Squad remain the only dedicated mainland detective unit that investigate armed robberies from start to finish with detectives trained in firearms and covert surveillance roles. The unit has developed the armed intervention tactic for both static and mobile arrests, known as 'pavement ambushes', which has resulted in the arrests of some of London's most notorious criminals. The Swooping Eagle emblem is symbolic of the way the Flying Squad strikes against criminals and apprehends them with speed. Flying Squad officers deal with London's most ruthless villains, and one officer was the victim of the first machine-gun attack on a police officer in Britain.